November in the U.S. is a time to honor the military veterans who served the country in times of war and peace. As talks on immigration reform stall in Washington, a specific group of immigrants is holding its breath: ones who fought in World War II but whose children aren’t allowed to immigrate here. One such soldier is John Aspiras, Jr., who fought in a guerilla unit against the Japanese army in the Pacific. 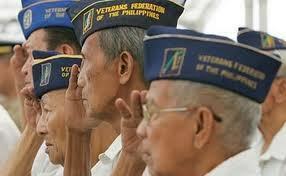 Aspiras is among tens of thousands of Filipino vets who got citizenship through a special immigration bill in 1990. Along with his wife, Aspiras now lives in Los Angeles, but their 50-year-old daughter remains in the Philippines. Lines are especially long for immigrants from the Philippines. At age 86, Aspiras reminds legislators, “I'm not getting younger, if you know what I mean." One person in Washington may have heard him. Sen. Mazie Hirono of Hawaii is proposing a bill to exempt immigration limits on children of Filipino war veterans. The rationale: if they risked their lives for this country, they ought to be able to spend their golden years with their children at their sides. For the children of veterans like John Aspiras, let’s hope members of Congress stop their partisan bickering and push ahead with reasonable immigration reform this month. Now, that would be a way to honor our veterans. Read the full story here: http://bit.ly/1azpW81.